This is the eighth chapter in the Little Black Book of Scams. Caring grandparents, don’t act too quickly. Emergency frauds usually target loving grandparents, taking advantage of their emotions to rob them of their money. 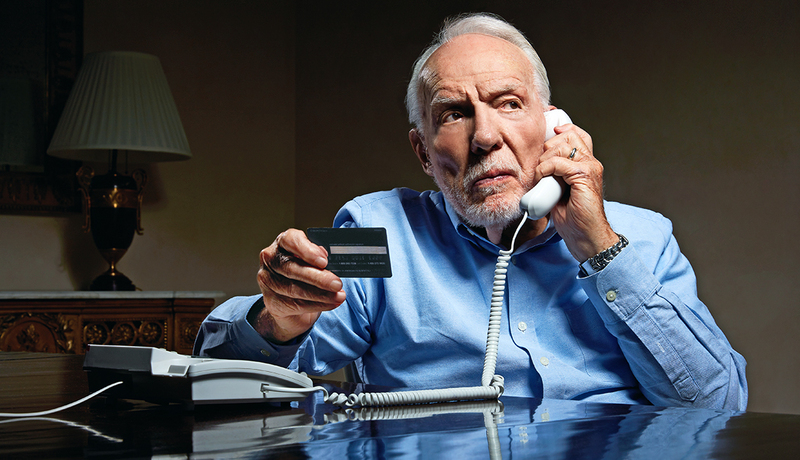 The typical scam starts with a grandparent receiving a phone call from someone claiming to be their grandchild. The “grandchild” goes on to say they’re in trouble - common misfortunes include having been in a car accident, getting locked up in jail, or trouble returning home from a foreign country - and they need money immediately. The caller will ask you questions, getting you to reveal personal information. They’ll also swear you to secrecy, saying they are embarrassed and don’t want other family members to find out what’s happened. One variation of this ploy features two people on the phone, one pretending to be a grandchild and the other a police officer or lawyer. In other cases, the scammer will pretend to be an old neighbour or a family friend in trouble. ✔ Take time to verify the story. Scammers are counting on you wanting to quickly help your loved one in an emergency. ✔ Call the child’s parents or friends to find out about their whereabouts. ✔ Ask the person on the phone questions that only your loved one would be able to answer and verify their identity before taking steps to help. ✔ Never send money to anyone you don’t know and trust. ✔ Never give out any personal information to the caller.